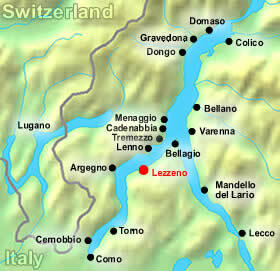 Lezzeno hotels are a great escape from the mad crowds of nearby Bellagio and only 6 km away from it. 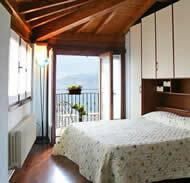 Those with lake view rooms can enjoy splendid views of Comacina Island and the Balbianello Peninsula. Although a bus travels between Lezzeno and Bellagio, a car is highly recommended. Now you can do a search to compare the rates of all Lezzeno hotels by choosing your preferred dates from the search box below OR you can browse through all the hotels listed below. 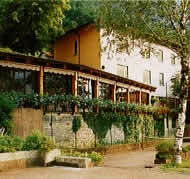 Description: Very old, charming hotel with small, cozy yet comfortable rooms overlooking either the lake or mountains. Their restaurant is right across the street on the lake and can get noisy at night. Location: Right on the lake. Description: Very friendly owners offering limited of basic, double rooms with beautiful views of the lake. Same family runs the restaurant since 1832 with tasty varieties of fish. No Online Booking Available. Call +39.031.914.541 OR +39.031.914.495 to check rates.